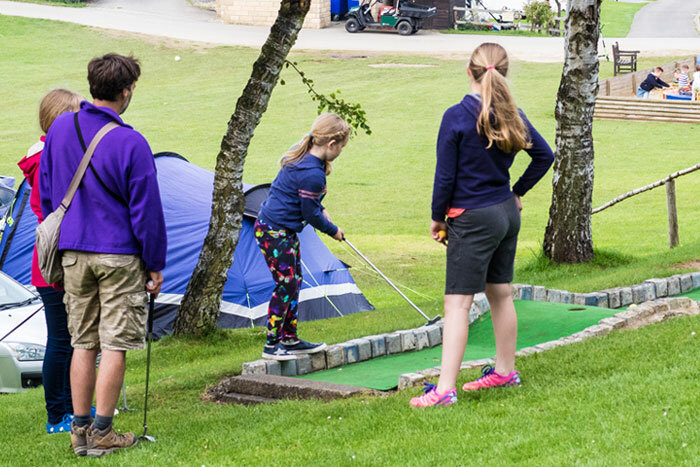 We have 2 heated, luxury, stone-built toilet and shower blocks, both fully tiled and heated, with underfloor heating in the showers. Hot and cold showers (free to use). Some individual cubicles are provided. The hand-basins are inserted in vanity units. The facilities are open 24 hours a day and include shaver points, hand dryers and hair dryers. 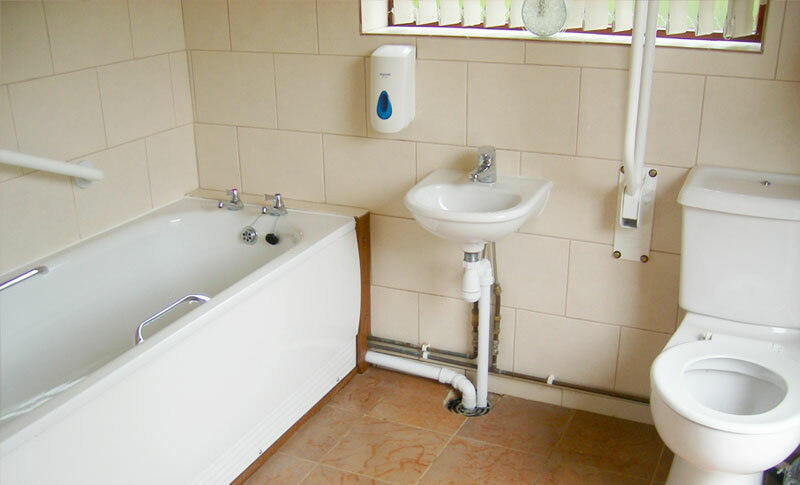 Each toilet block has an additional room, with under floor heating, shower and bath, which is suitable for families and the disabled. The luxury, award winning, heated toilet blocks at Golden Square have won the regional award for ‘Loo of the Year’. This is a fine testimony to the high standards and quality of the services and facilities which you can expect at the Park. Our on-site shop offers a range of delicious home-baked bread and cakes, cooked meats, frozen produce and licensed drinks, as well as milk, newspapers, sweets, toys, caravan accessories, books and souvenirs. If there’s something you’ve forgotten to bring with you the chances are you can get it in our shop! 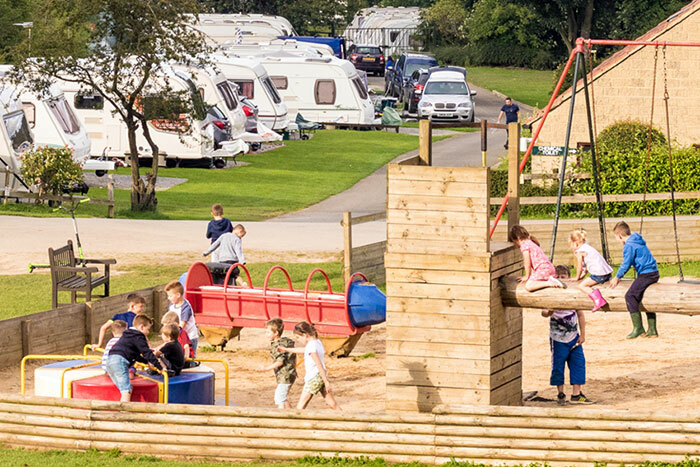 Golden Square is a dog friendly caravan site, however, we do ask that dogs are kept on a short lead at all times. For the consideration of all our guests we have a limit of 2 dogs per pitch (we cannot accept dangerous breeds). There is an exercise field available for your pooch to let off some steam as well as a woodland area which provides some nice sheltered walks. Check out our prices and offers page for seasonal deals as well as great value short break packages. 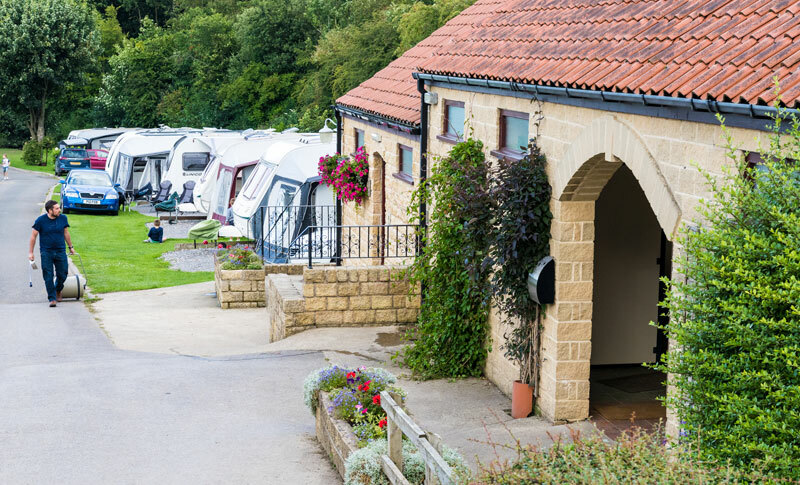 We also have the following facilities available on site, providing you with everything you need for a care-free break. 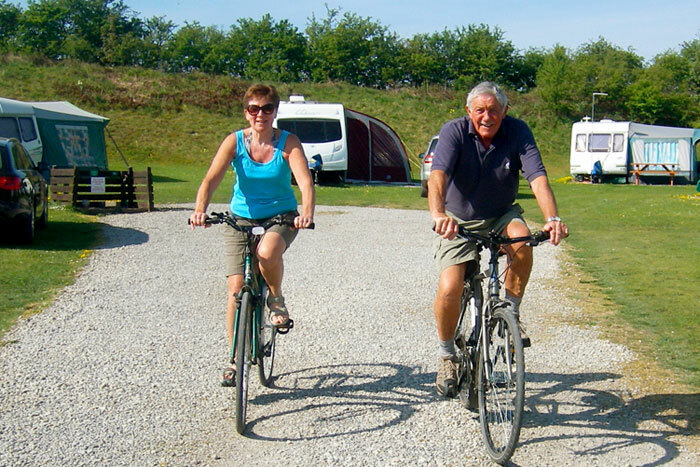 Recreational facilities include indoor and outdoor play areas, crazy golf and cycle hire. Details of mountain bike routes available on request. 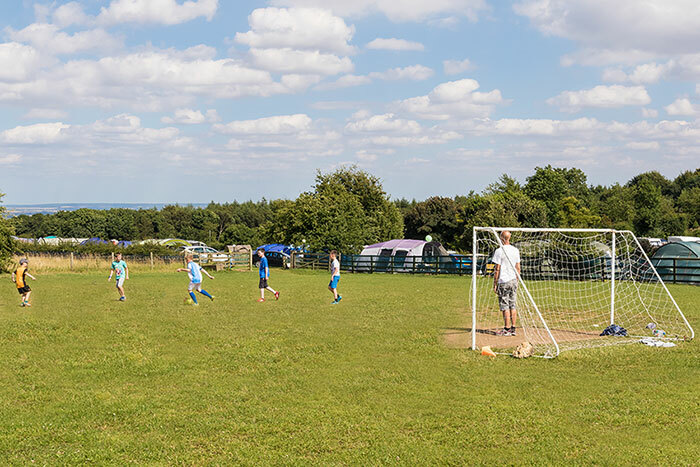 There is a football pitch on site and a sports centre nearby.